Have any questions?ask your question via comments. I just followed everything you did and my picture still does not show up.I am using minima, resized to 660px. . . what do i do now? Try again! It does work! nathan, maybe u should wait the image to pop up before u save it. Okay, so I was updating my header today, and things got way out of whack formatting-wise. I've been pouring over every line of code in my blog, and all over the net, and still haven't found a solution. I tried every thing in my http://sandarshan.blogspot.com, but the image is not appearing on the blog. 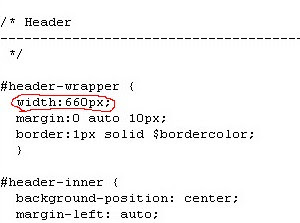 but it is visible in the layout section(in the header page element. )What to do? I've been using the Clean?Dark template for about a month with no problems. Suddenly, yesterday, all of the grapfics to MAKE the page (the blue bar, header line..etc) are gone. It looks like a plain white page and since some of my text was white, it looks bad. I cut&pasted some of the graphic sites into my browser, and it says they don't exist. Before this, I would put the location in my browser and the graphic would come up. Did something happen to the site? Is anyone else having problems? I am currently using the Pepper template, and it will not allow me to change out the header for a picture - any thoughts on how to do this with the template? i change the header but it wasnt success. i cant describe it, but u can see my blog. is there a way to add an image in the top left hand corner next to the header? Basically, I want my header to go along the entire top of the page, not starting 3 inches in, where the side widgets go. Could you tell me how to add an image as my blog header using html? Basically,i dont have Image in my hearder,I dont thik it is all that important having it.Maybe I will try to add 1 later. I had this same problem but I found out the reason. 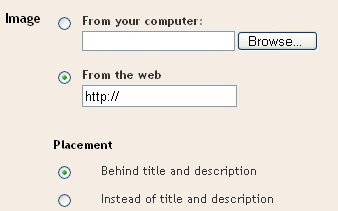 go to customize-->edit html and click on the "revert widget template to defaults link". this will set it right. Worked for me. how can I get the text in the header to move down? or do I need to just create it in photoshop? 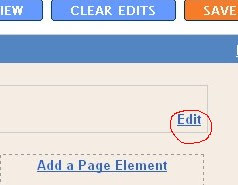 Can you please teach us how to add search button inside the blogger header??? Please..
actually my blog titile is "singis king". I want to put a back ground image for title. i so love this site!!! everything's seem so easy with the step by step guide. thanks so much! im more of an old fasion guy i like old school how do you do that with classic? i understand this adi....but whr got website can giv upload picture for bog? I was trying to change the Header and put one on for the holidays. The Edit button will not allow me to remove the current Header and change it to another. Help. Ryan.A.Nash~ thanx a bunch... I'd had the SAME PROB w/ my header not showing up... doing what you said totally worked! I want to change the FONT of my Blog Title to something other than what blogger offers. Anyone know how to do this? Awesome dude,your blog looks professional.10stars. Picture edited in photoshop isn't uploading.Blogger complaints of image file being corrupt. I wonder why everyone do not know that there is a menu to add a picture to be used in the header? That is default blogger menu. Where have they been? Photo uploading was no problem, but the photo was off centered. It was all the way to the left with 3 inches of free space to the right. So I changed the layout and I think it looks O.K. This is the first time we try this, so it will be trial and error thing. Would like to know how to get it centered. Thanks. So how do we use flash for a banner? Any help will be much appreciated. "Love this place I shall link to it"
Hello. I kind of messed around with my coding and now my posts are going over the image I uploaded for my header, how can I keep my posts under the image and not overlapping it? I have been doing different edited to my blog layout and just recently I went and clicked on My Layout and where it says header, I cannot see the edit button... Please help Im getting frustrated. My whole layout isn't center and its way over to the right. Thank you for this tips i didn't know that Blogger was able to get tunned up ! Great Suff, it worked perfect!